In this riveting, heartfelt debut, a young woman assumes a new name to escape her dark past and find the redemption she desperately seeks. In this gripping story, debut novelist Heather Lloyd brilliantly captures ordinary lives thrust into extraordinary circumstances. 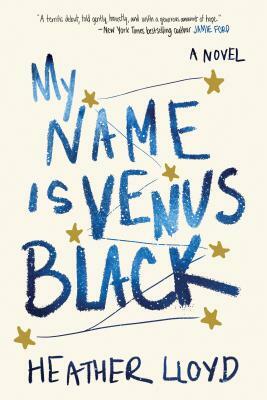 Told through a constellation of captivating voices, My Name Is Venus Black explores the fluidity of right and wrong, the pain of betrayal, and the meaning of love and family. Heather Lloyd, who has spent many years working as an editor and writing coach, lives with her husband in New York City. My Name Is Venus Black is her first novel.